I have been casually mentioning gardening in recent posts and people have seemed interested, so I thought I’d share a little more about my new little hobby that I’ve been enjoying lately! First of all, we bought our house a little less than a year ago as a foreclosure. 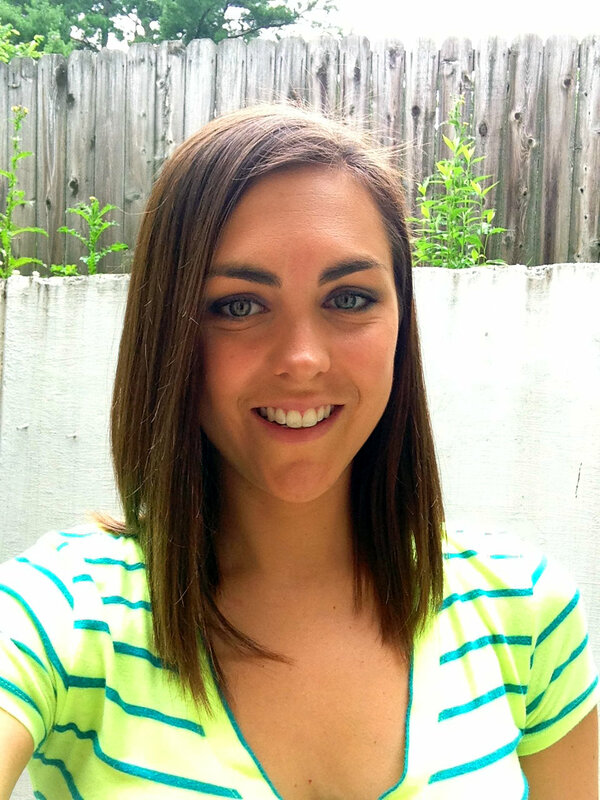 We got a sweet deal on it, but man oh man… it was a WRECK. Due to budget constraints we decided to wait on fixing up the yard and just focus on the inside of this house. But this year we decided that the yard needed to be cleaned up a bit. Since I love cooking with fresh produce I tossed my husband the idea of having a backyard garden and he was all for it! Yesterday construction officially began. First thing we did was get rid of some really nasty dead/overgrown bushes and trees. Getting the tree down is one thing, but chopping off all the branches into bundles to be discarded is even worse! So tedious and time consuming, but it needed to be done. We also had a Japanese maple tree in the backyard (in an existing plant bed) that we moved to the front yard. 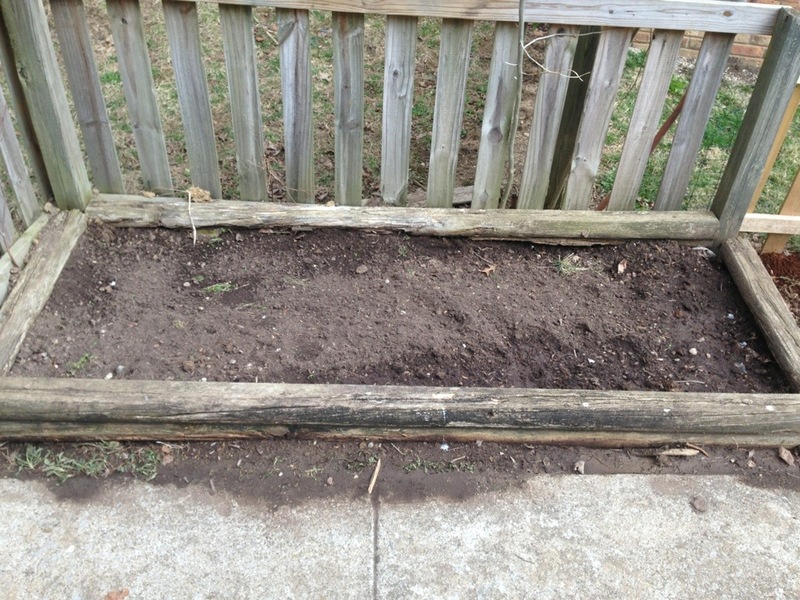 The husband had to have help on that one… he even broke a shovel! 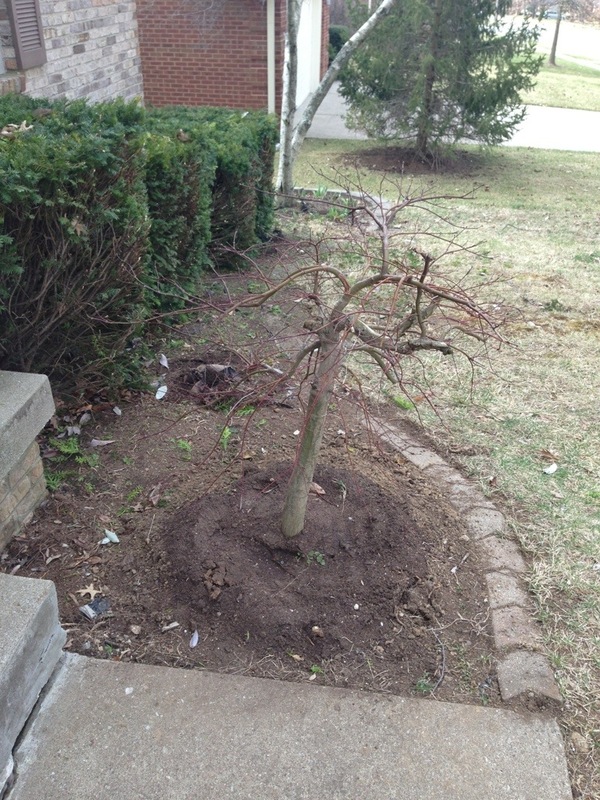 The tree still doesn’t have leaves on it from winter but here’s where it is now… I hope the poor guy survives! This is the plant bed that the tree came from. It is on the side of our yard (that fence is our neighbor’s). We thought this space would be better used as a vegetable garden. I am thinking of putting my early spring crops in there (broccoli and kale) since I think they’ll be okay with slightly less sunlight and cooler temperatures. Last year I haphazardly threw some baby plants that a friend of ours gave to us and they grew pretty well! We had tomatillos, rosemary, and cucumbers. I am looking forward to having the extra space from the tree. The next plant bed we built is in the back yard. It is up against the back of the house next to the deck. Our backyard gets a lot of sunlight, so the house won’t really block it until late in the evening. Our yard also slopes down, so we thought it’d be better up on the higher ground. It’s actually the perfect location since it’s right between the deck and the basement stairwell. 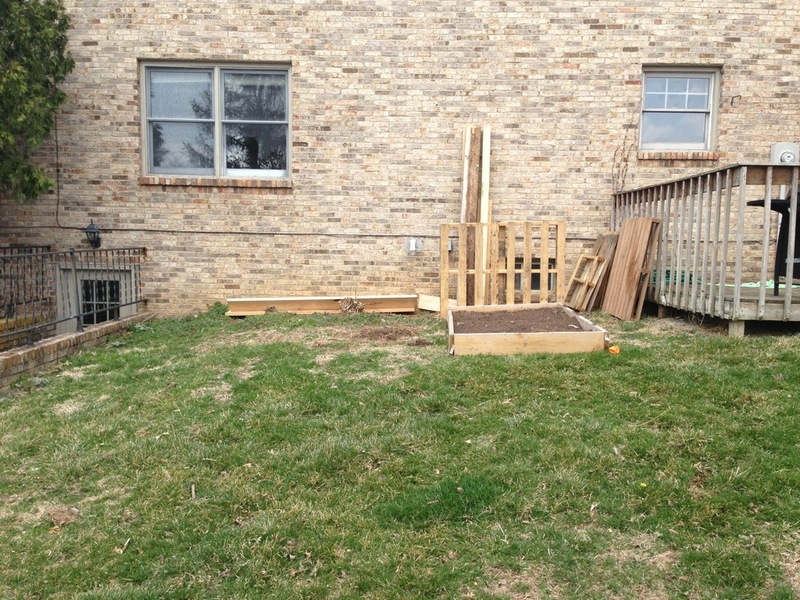 This is where we’d like to put our summer crops – right now I’m thinking tomatoes, cucumbers, and squash. 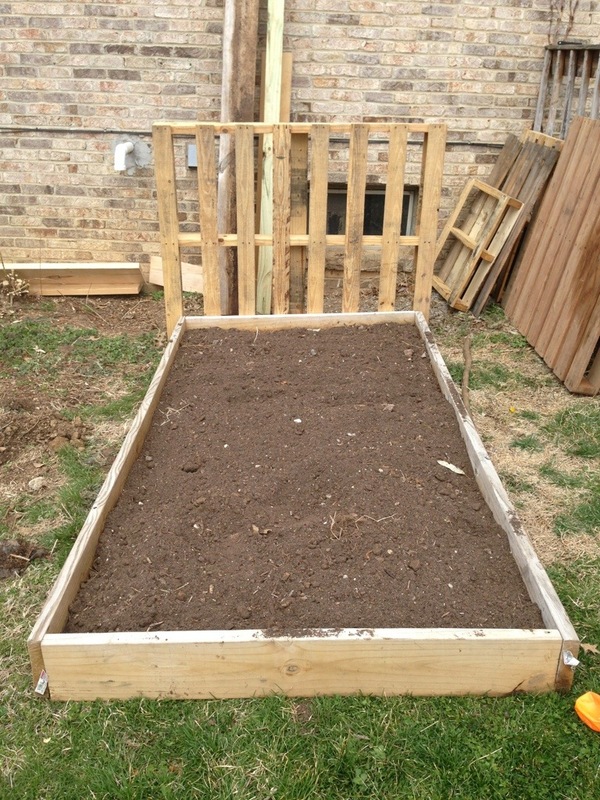 The pallets in the back will be helpful for the tomatoes to grow on too! We are thinking of building another one of the same size right next to it. What do ya think?? I really want another one, but we would have to buy more soil… which is not cheap! This is also where the all the tree/bush mess was. Thank goodness for husbands for this type of stuff! I let him do most of the hard labor… I spent half the day chasing a toddler trying to keep her from eating dirt and pulling rocks out of her mouth. 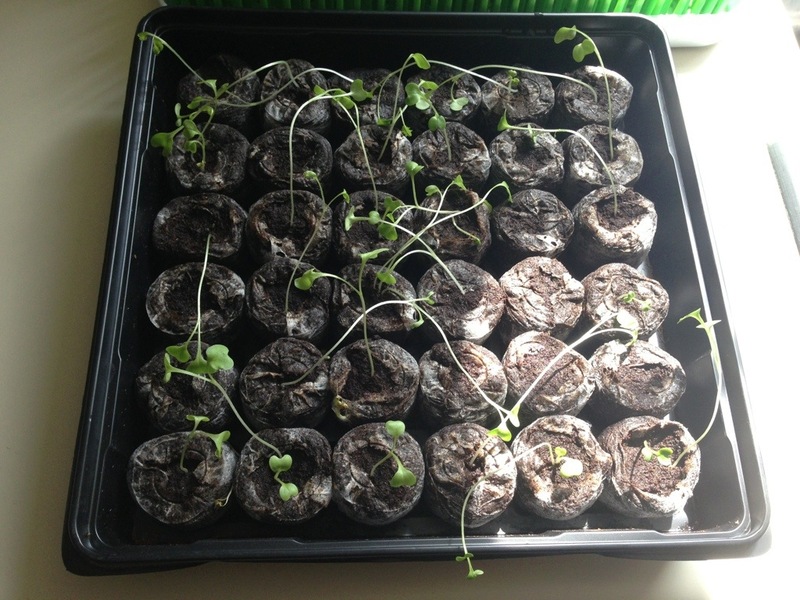 I am looking forward to the warm weather and getting to put these little babies into the garden! I know my approach is far from scientific, and there’s a fair chance it will all be a flop. But I’m okay with that. I really enjoy getting outside in nature and am hoping to learn throughout the process rather than spend my days reading gardening books. Do you like gardening? What are the easiest crops to plant in your opinion? What would you most like to grow if you could grow anything?